So fitting that my favourite haven on the island just happens to be abundant with picturesque coves and beach-lines harbouring yachts and sea craft. That refuge is Cape Panwa. Panwa is our southeastern peninsula. In my experience there always seems to be a feeling of escapism, of ‘otherness’, on such geographical areas which boldly jut out into the waters in resilience from the mainland. Every time I drop off the busy Chao Fa East Rd into the Panwa region, there’s an almost immediate sense of calm... that I’ve entered a slightly different realm. Maybe it’s the broad open main roads, mixed with the beauty of the coastal winding lanes which carry a fraction of the bustling traffic that criss-crosses our island daily? Could it be the influence of the predominantly Muslim community and villages, giving an air of peaceful introspection? Whatever mojo Cape Panwa conjures, it’s certainly a pleasant feeling. A sense that you’ve suddenly been transported somewhere else… into the slow pace of a calmer world. The scenery is stunning from every angle. Jungle mountains hugged by the encircling coastline and far reaching views of the small archipelago of surrounding islands. It’s an idyllic environment for a short break with a partner or family weekend retreat. And that’s precisely what I’m up to on this road trip around the region. Lucky me. To really immersive yourself in Panwa and feel refreshed from the getaway, you really need to stay overnight. There are a range of accommodations from five-star luxury resorts to rustic beach huts. But it’s the privacy and charm of a small waterside hotel that floated my boat on this trip. 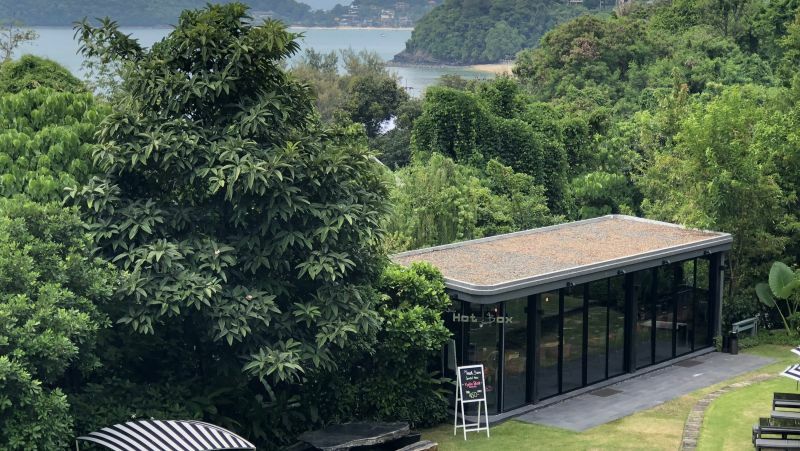 Cloud 19 Panwa is a beautifully designed, niche boutique resort, which hugs the mountainous southeastern coast, gifting its residents a panorama of spell-binding views across Chalong Bay from first morning light to last thing at night. Its seclusion and setting makes it a sure and comfortable bet. The rooms are modern and clean, with all the amenities that show the attentive staff’s due care. Rooms come with complementary breakfast, which is served pool-side in the lobby lounge. 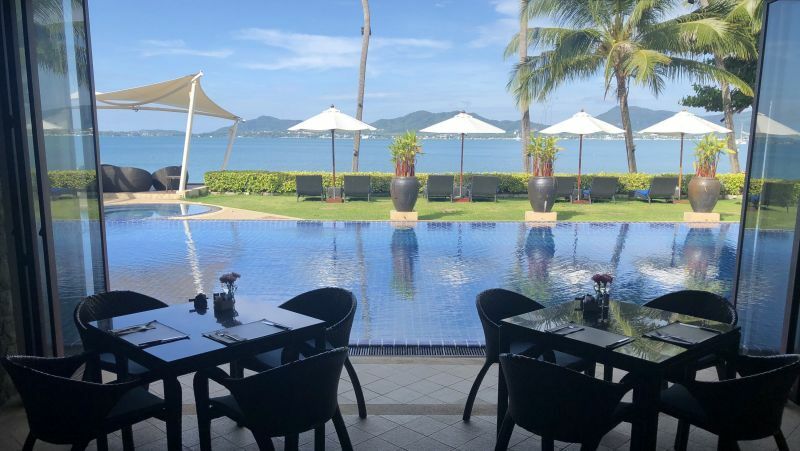 It’s virtually impossible not to relax in the setting, with your mind wandering across the blue hues of Chalong Bay whilst you sip your morning coffee and choice of continental, Thai or Chinese plate. They also have a full menu and happy hour designed to meet your grazing needs throughout the day. For those ready to slip away into oblivion, Cloud 19 Panwa offers spa and massage services, and for the more energetic among you, head out into the blue with their kayak and paddle board hire. I’ve been to Cloud 19 on more than one occasion, and it truly is a well run, modern and classy hide-away that you can rely on. All set-up for the day exploring the peninsula, there are a number of entertainments depending on your party and tastes. Khao Khad Viewpoint is a standing tower atop one of the highest and remote hills in Phuket, giving full 360° views out over the southern and eastern region. If it’s all about a real pampering, Cool Spa Phuket is a beautiful luxury spa which offers traditional techniques alongside modern spa treatments such as sport massages, refreshing herbal exfoliations and soothing full body wraps. 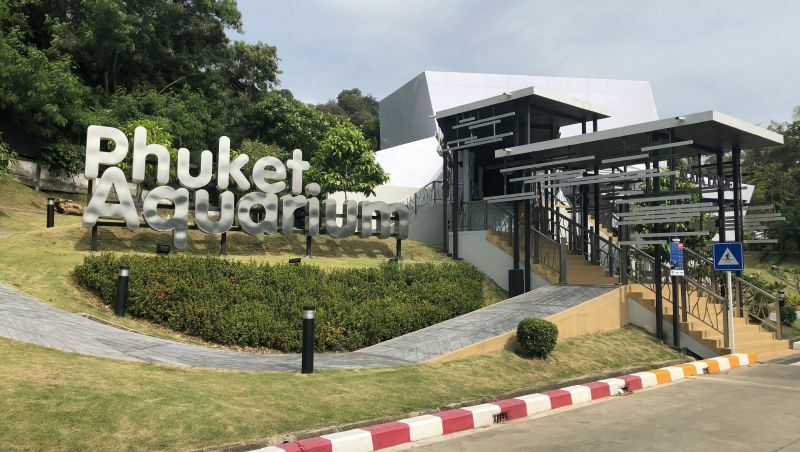 One for the whole family, Phuket Aquarium and Conservation Centre is a charming and chilled encounter with the weird and wonderful sea-faring creatures from Thailand’s lakes, rivers and the Andaman Sea. It’s not a vast aquarium, but what it lacks in size it makes up for in local charm. 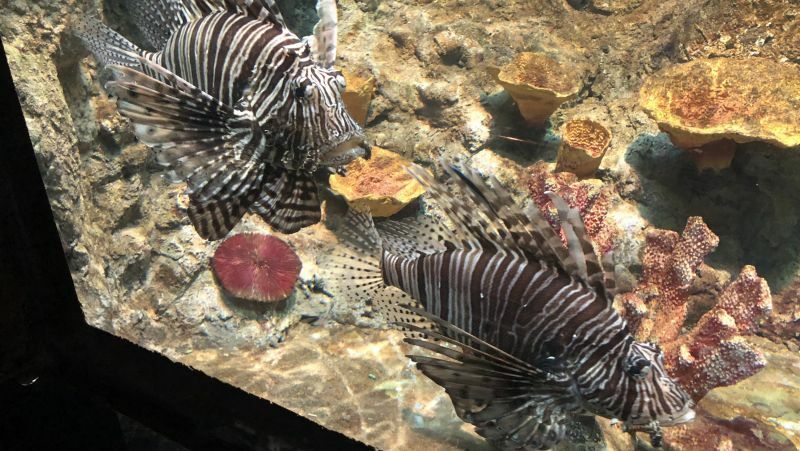 The aquarium presents a diverse range of aquatic species, feeding shows and touch pools, and a new 180° theatre screening room to get a close-up experience of underwater life. 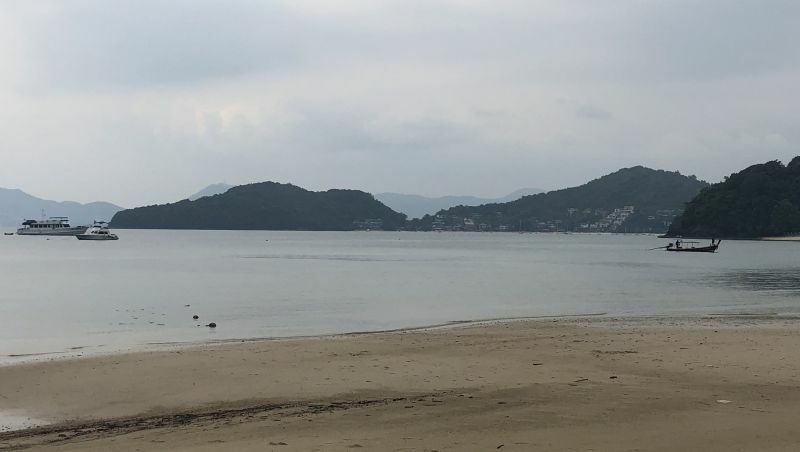 The science and nature trail outside of the main building takes you on a tour of the attached Phuket Marine Biological Center and conservation facilities. This includes a hatchery to observe the breeding and raising of young sea creatures including seahorse and cuttlefish. Their Sea Turtle Pool allows you to observe turtles recovering from injuries sustained in the surrounding oceans, or watch the baby sea turtles paddling around in the nursery. All of this adventure should have worked up a healthy appetite by now, and there are a wide range of eateries to continue your exploration of Cape Panwa. From street food stalls lining the beach-side roads, local markets that spring to life in the village communities, to high-end restaurants in the collection of hotels that offer walk-in service. 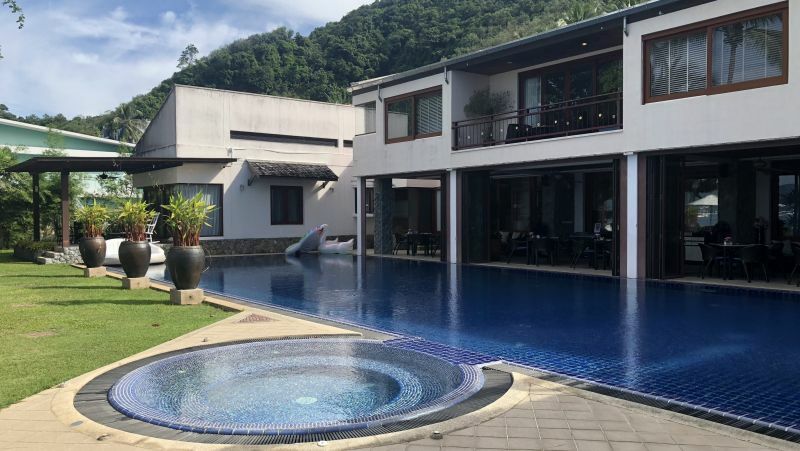 One such gem, located in the luxury Sri Panwa Phuket Hotel, is the Baba Hot Box. 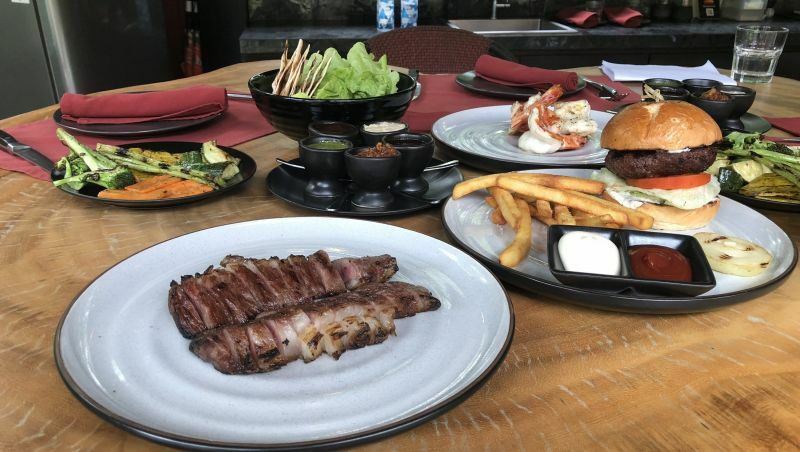 Sri Panwa boasts a range of restaurants from local to Chinese cuisine, but if grilled meats and BBQ takes your fancy you won’t find better than Baba Hot Box. This is no ordinary ‘throw a shrimp on the barbie’ sort of joint. Far from it. Even as you are taken through the immaculately maintained forested grounds and buildings of Sri Panwa, you get a sense of wonder that you are about to experience something special when you first glimpse this unusual and beautiful glass box venue surrounded by jungle and water features. But it’s when you step inside that you realise you’re really in for a treat. For starters, all the food is cooked in the Spanish Josper BBQ. This specialist BBQ is a combination of a grill and an oven in a single silver box of joy. The result is a high operating temperature which allows the chef to grill and roast to perfection, but preventing the quality meats from baking, and thus retaining its texture and juiciness. And so it’s all about the highest-quality meats. The Baba Hot Box has a phenomenal a la carte array from premium meat and seafood dishes, a combination of in-house sauces and enhancing vegetable and salad sides. T-bones, collars, briskets, burgers and breasts. Focusing on a few highlights, the Wagyu Beef Bacon was as succulent as it was strong in flavour. The beautifully charred cut had the ideal crisp edges coupled with a juicy pink interior and the bacon rind giving the fullest of flavours to the finest of meats. The two piece Tiger Prawns were a meal unto themselves, grilled with a butterfly cut with an exceptional marinade. And if you’re lucky enough to visit when they have a Kyoto Steak Sandwich special, I implore you to this taste sensation. As you might expect it’s certainly not cheap, but you’re here for top-quality meats served by the attention of the skilled chefs and staff that can cater for your BBQ dream meal in the perfect setting. It’s a worthwhile treat. Heading back over the hills from the southern-most tip to my accommodation, the nighttime views on these coastal roads are fantastical. 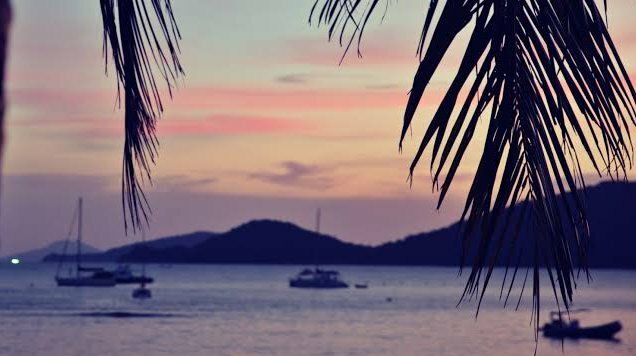 And there are hidden delights along the moon-lit drive, such as The Cove (Ao Yon Bay), a secluded beachfront with a handful of delightful eateries. The Ship Inn Bar and Restaurant is a long-standing favourite here to order a night cap and stare out at the twinkling lights of passing ships in the night. Cape Panwa is an arcadia of relaxing and enjoyable experiences. For me, it’s the perfect weekend away without the fuss of having to travel too far. It’s a peninsula on our doorstep worth your trouble to explore, and there’s plenty of surprises along the way of your adventure into this most attractive of local delights. Just don’t tell anyone else about it, you’ll want it all to yourself.